Our inboxes are filled to the brim with releases of all types; most hit the round file and never end up on the site, some are a bit more compelling. This one goes in the latter category, though the news will only sound good to some of you. 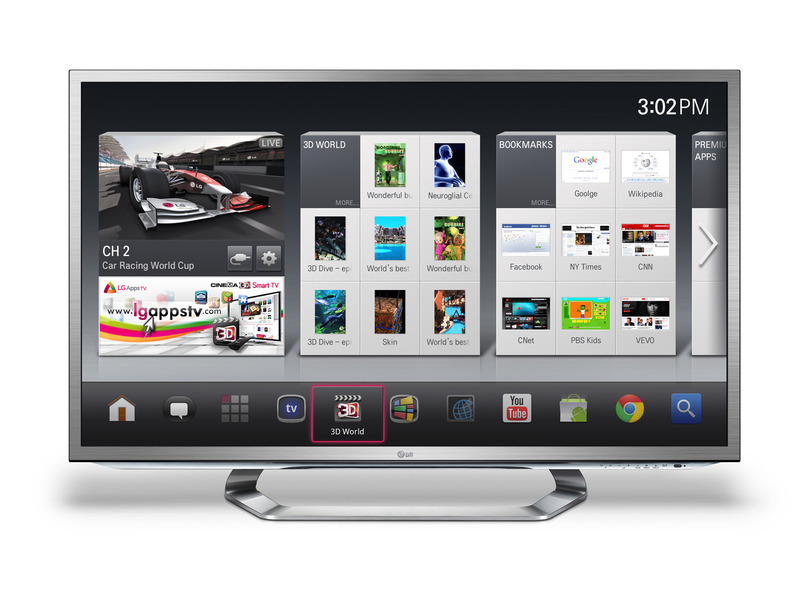 LG will be introducing a 3D set that combines their own Smart TV platform with Google TV. The set will be previewed at the LG press conference on Monday, for now we have the linked PR below and a few glamour shots. 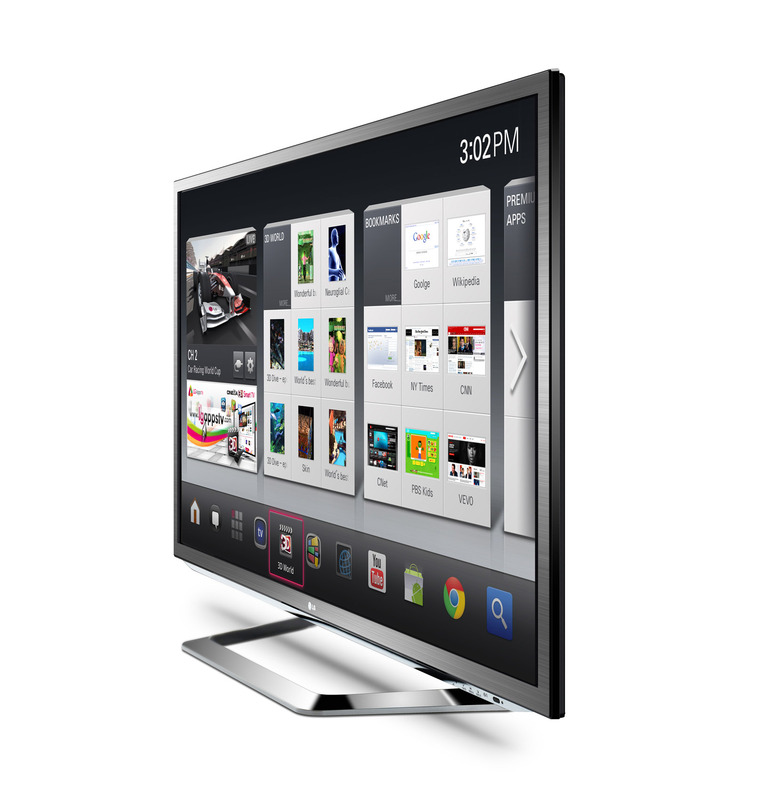 It is likely that the TV will feature the latest Google TV hardware we heard about earlier today. If the press shots are at all indicative, the Google TV platform may soon be customizable in the same fashion as Android on mobile phones is today. LG's Smart TV with Google TV appears to feature an entirely different interface than we've seen on prior Google TV hardware, looking like an amalgam of LG's prior Smart TV interface and Google TV. Most notably is an interface that includes current content being played back in a panel alongside the interface. Previously the interface was overlaid on content, and video coexisted alongside interface elements only within certain apps. We'll see how this all shakes out Monday. Till then, we'll keep sifting through our inboxes. UPDATE: Following up on LG's press release, Google posted an update to their Google TV Blog that expands on the announcement and reveals that LG will be using their own L9 SoC in their line of Smart TVs. In April, LG announced that they would become an ARM licensee, and this appears to be the first fruits of that agreement. We hadn't heard of the L9 previously, and suspect that it is an ARM Cortex-A9 derivative, though GPU and other specifications remain a mystery. Google's post reaffirmed commitments from Sony, Samsung and Vizio to include Google TV devices in their line-ups, and mentioned MediaTek as SoC manufacturer for Google TV based products.